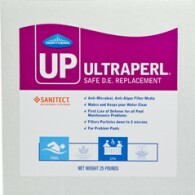 UltraPerl with Sanitect is a revolutionary, new, safe anti-microbial filter media used as a direct replacement for dangerous D.E. filter media. UltraPerl is the first product to provide full protection in the filter against algae, bacteria, viruses and germs that are common in all pool filters. 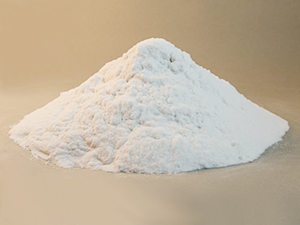 UltraPerl keeps harmful and performance-robbing biofilms from growing in the filter through Sanitect, our EPA registered and patented silica-polymer technology. No longer will you deal with bio-loading from pathogens and algae that cause premature media failure. 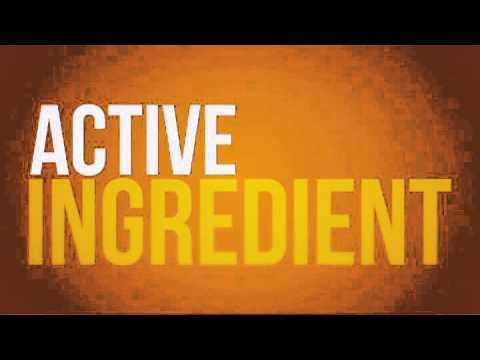 Additionally, UltraPerl has a high oil and solids holding capacity which also results in longer filtration cycles. Our lightweight UltraPerl does not cake or stick to the grids of your pre-coat filters ensuring easy replacement of the medium at the end of its life. UltraPerl with Sanitect delivers unmatched clarity and ease of use while providing a more stable pool balance that consumes fewer chemicals. UltraPerl is half the weight of DE. Use the same number of scoops of UltraPerl as you do for DE. Clean the filter thoroughly according to the recommendations of the manufacturer. Premix proper volume of UltraPerl into a pail of water to allow even application to the filter. See dosage chart, or use scoop for scoop to replace traditional D.E. Media. Finally, apply the remainder of the UltraPerl slurry to finish charging the filter to the proper level.